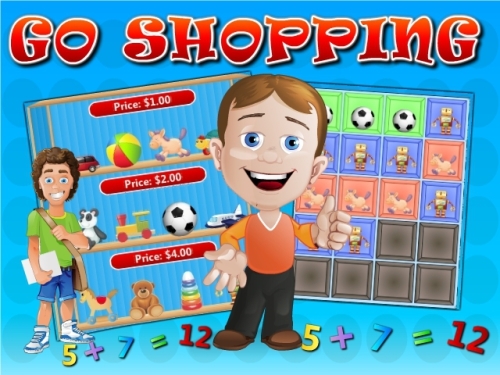 Description Go Shopping is a Mathematics skill based puzzle game where you need to spend all of your money to purchase a fix number of toys. Controls Click on a toy to purchase it . If you want to return then click on purchased item and get back your money. To win a level spend all of your money.